You asked for it, so finally here it is! My curated list of the best yoga and Ayurveda retreats in Kerala. Only the best wellness retreats, based on personal experience and people's reviews [minimum 4.5 stars]. If you've been searching for an affordable health and yoga retreat in Kerala that people love, then this Top 7 list is for you. A couple of weeks ago my friend Ute, from Germany, asked me to recommend her an affordable yoga and Ayurveda retreat in India. Unfortunately I couldn't give her any advice. Although I've been traveling around India for many years, studying and practicing yoga, I know very little about the best detox retreats in India. I'm very familiar with Indian ashrams, but not so much with Ayurvedic retreats. I just know one Ayurveda resort in Kerala (Bodhi Ayurveda and Yoga Retreat), which I included in the list below, but I wasn't sure that was the right place for her. Guess what... This is not the first time that I've been asked this question. Actually, I often receive the same question from my readers. Many people want to do a yoga retreat that includes Ayurvedic treatments. Some others want to do an Ayurvedic retreat that includes yoga. So I decided to do some research to find the best yoga and Ayurveda retreats in India to answer my reader's questions. Next time I'm asked the same question I'll be prepared with a curated list of retreats that I can share with my readers and friends. Why a yoga and Ayurveda retreat? Ayurveda is a holistic healing system from India, developed several thousands years ago. It uses mainly diet, herbal treatments and massages to bring the body, mind and spirit to a state of balance. It naturally prevents the development of diseases and helps removing any present illness. The aim hatha yoga is to strengthen and purify the body and mind, so that they become fit for the practice of meditation. This is achieved by balancing the opposite and complementary solar and lunar energies, by removing energy blocks and by keeping the mind present. If you would like to know more about the relationship between yoga and Ayurveda you can visit: Yoga Therapy and its Basis in Ayurveda. As I narrowed down my search I realized that the best places are located in Kerala. This is perhaps because of the weather and the abundance of natural herbs. Considering also how beautiful Kerala is, the delicious food and its incredibly kind and friendly people, this is probably the best State in India to have a health and detox holiday. So at the end, this became a curated list of the best yoga and Ayurveda retreats in Kerala, handpicked based on people's reviews. I did this research as if I was actually looking for an affordable wellness retreat in India for myself. I went online, used mainly bookyogaretreats.com and tripadvisor.com, and looked at hundreds of reviews of the best places I could find. 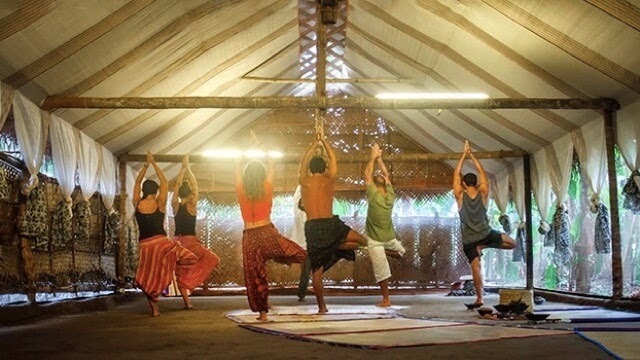 I wanted to see what people like the most about these yoga and Ayurveda retreats. They all have at least 4.5 stars reviews, in different platforms, so you can be sure people definitely love these health and yoga retreats. Like I mentioned before, so far I've visited only one of this Ayurvedic health resorts. But whenever I visit another one I'll make sure I update this article to share my personal experience. For how long should you book a retreat? You'll notice in the links below that all of these Ayurveda and yoga retreats offer standard packages of seven days or more. Do not hesitate to contact them for any enquires, or to ask for a more tailored program according to your needs. You can always prolong, or shorten the duration of your stay. However, if you are interested in going for a deep detox and rejuvenation package with Ayurveda, I suggest you book a package of at least one week. For Ayurvedic treatments to take effect the usual duration of the therapies, for instance for panchakarma therapy, it is minimum one week. In average people book this kind of retreats for about two weeks. 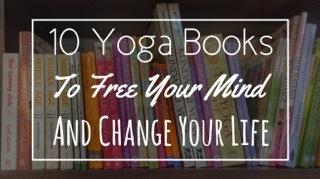 By the way, these are bookyogaretreats affiliate links. If you book a retreat through these links you'll be supporting me to continue sharing free content like this, via a small commission, at no extra cost to you. This is an ideal Ayurveda and yoga retreat to enjoy some peace and tranquility, excellent vegetarian food and a variety of Ayurvedic treatments based on a consultation with an experienced doctor. This retreat is away from the typical tourist destinations so it's an opportunity to go a bit more off the beaten track. It is located only 45 min (31 km) from Cochin International Airport, and about 2 hours drive (70 km) from Fort Kochi. There are a lot of different natural sights to visit nearby like waterfalls and parks. Dr Steephan; founder, Ayurvedic doctor and yoga teacher, will guide you on your journey to mental and physical health, with the support of his qualified team. Namaste Ayurvedic Wellness Center is a specialized Ayurveda retreat with a full range of Ayurvedic treatments. The yoga style is traditional hatha yoga with an emphasis on breath awareness, meditation and pranayama. The setting is in a beautiful spice garden. The retreat has only four cottages with a total capacity of maximum eight people, so you can get a very intimate almost-like-a-family experience. The cottages are very simple, but clean and comfortable with bathroom attached. If you are traveling with a large group you could even book the whole place for yourself! Although they offer specific yoga retreats you can always contact them and ask for a program tailored to your own needs. "I was so well taken care of, the retreat was in 100% in harmony with the nature, the food just wonderful and the instructor/teacher very skilled. To me it was a very special experience to spend a week at the retreat. I got renewed in my soul and my body, the pain in my back and my knee was gone thanks to de treatments, I learned a lot how to practice yoga, my mind is clear and I feel calm and satisfied." Gunlög Marnell from Sweden - BookYogaRetreats website. ⇒ Click here for more reviews, enquiries or to check availability. If you are looking for not only physical healing, but also mental, emotional and spiritual healing, then this retreat is for you. Located among palm trees and only five minutes walk from the beautiful Varkala beach, this is a unique yoga retreat. Varkala Beach is located 1 hour 20 min drive (43 km) from Thiruvananthapuram International Airport. Agnihotra Yoga Retrea is not a specialized Ayurveda retreat though. The retreat packages offer only one Ayurveda massage a day, which is outsourced from another partner. But it would be a mistake not to include this retreat in this top 7 list. This is one of those few places that have five stars reviews virtually in every online platform. People absolutely love this place. It is no doubt an excellent yoga retreat to experience some healing and transformation. It is one of my personal favorites so I hope to visit it sometime in the near future. The retreat is run by Rakesh Kumar (Syam Ji his spiritual name), who is also the meditation teacher, yoga teacher and pranic healer. He captivates the hearts of all his guests with his kindness and authenticity. The highlight of this retreat is the twice-a-day fire ceremonies (homa or yajña) which Rakesh refers to as fire meditations. This type of homa is specifically called agnihotra, healing fire, from where the name of the retreat is derived. They help to create a powerful healing environment in all the surroundings. The daily agnihotra and the pranic healing offered by Rakesh are all part of the healing therapy aspect of this yoga retreat, complemented with the Ayurvedic massage. The roof of the yoga shala is build with coconut leaves, and the floor is polished with cow dung following the tradition of the Vedas. The food is delicious, south Indian vegetarian, and the accommodation is basic but clean and comfortable. "I had the most amazing time at Agnihotra Yoga Retreat. I've never felt so calm and centered in my life. The fire meditation was a really special enlightening experience. The accommodation was fantastic, as was the food and amenities. The surroundings in Varkala are spectacularly beautiful, its a fantastic place to be. Rakesh was a delight to be around, he took care of me very well and I feel that i have learnt a lot from my experience at his retreat. I really do recommend the retreat to anyone and everyone!" If you are looking for a yoga and Ayurveda retreat where you can listen to the sound of the ocean all day long, then you'll love this place. Located just 30 meters from an isolated beach, in a fisherman village away from the crowds, this is an excellent choice to enjoy some peace and tranquility. It is located 1 hour 20 min (48 km) from Cochin International Airport and 2 hours drive (50 km) from Fort Kochi. But this is not just a place to de-stress. If you are serious about improving your health, then this Ayurveda retreat is definitely going to help. Ayurveda Living Village is a specialized Ayurveda retreat. The retreat offers a variety of treatments which will be individualized based on a consultation with the Ayurvedic doctor. The daily schedule is very relaxed. It includes only one yoga class in the morning. The rest of the day is dedicated to the Ayurvedic treatments, enjoying Ayurvedic food and chilling out by the beach. You can also learn a bit about Ayurveda and Ayurveda cooking. "Everyone was splendid during my stay - making me feel like family and not “just another guest”. From the receiving @ airport by the owner himself - Sree - the Ayurveda consultations with the Doctors and the treatments specially chosen for my needs, passing by the wonderful and tasty food to the Yoga sessions - with the great teacher Libin - and the beach only few meters away (felt in love with the heartbreaking sunsets!) - all was perfect!" If you want to hear nothing but the sounds of nature this retreat is for you. 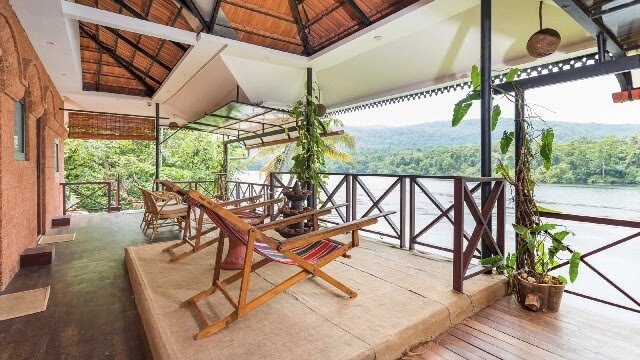 A quiet and peaceful yoga and Ayurveda retreat protected by a forest, with clean and comfortable rooms overlooking the Periyar River where you can actually swim. What else can you ask for? 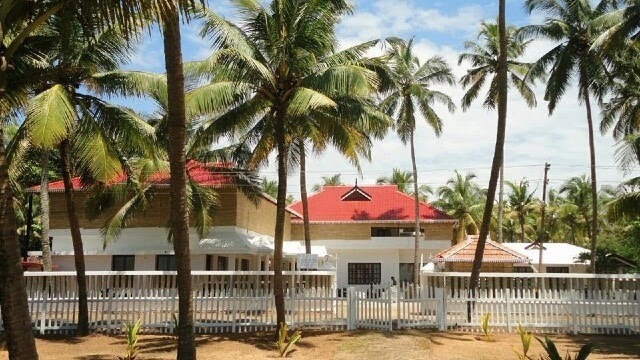 Elephant Pass Ayurveda and Yoga Retreat is located about 30 min (17 km) from Cochin International Airport and 1 hour 30 min (60 km) from Fort Kochin. If there is one thing that makes this place special if the loving care of the staff and the excellent service. It is the number one thing that most reviewers mention from their stay. Not only the service is excellent; the quality of the Ayurvedic treatments and the yoga classes is also outstanding. Many guests leave actually feeling rejuvenated and more healthy. The three vegetarian meals, which all guests love, and the Ayurvedic treatments are based on a previous consultation with the doctor. The doctor will check on you regularly to know the evolution of the treatments, and to make any adjustments if necessary. 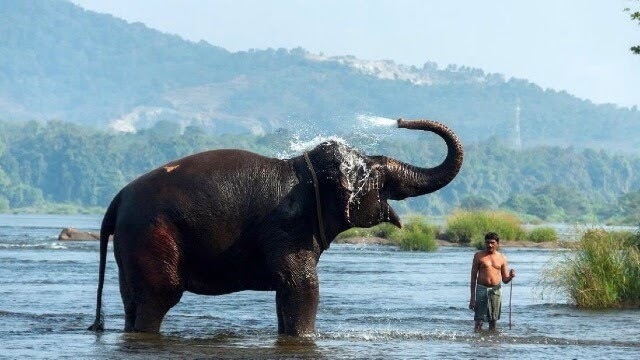 "I had an amazing stay at Elephant Pass! I stayed 8 days and 8 nights in total. Staff there are all so caring, attentive and friendly! The manager and his family are extremely kind and the food is a pure delight! Being vegan, they have cooked delicious fresh vegan food for me. Every bite was a pleasure! All the dishes were different and very fresh and tasty! The place is extremely calm and relaxing, birds are singing and the sun is shining! The massages are TOP quality with very beautiful and smiley masseuse! And yoga oh yoga! As a daily practitioner and passionate about yoga I had the best yoga experience with a very talented yoga master. He wasn’t only kind and generous but also extremely caring and experienced. They offer many different retreat packages. Some are more intense, including two yoga sessions and two Ayurvedic massages per day. Note: Please be aware that many of the photos that you'll see on their listings are not their own but actually taken from the web. A budget yoga and Ayurveda retreat with the look of a five star resort. Beautiful spacious rooms surrounded by vivid natural green colors, sea breeze and singing of birds. And on top of that a large swimming pool! It is located only 30 min (16 km) from Thiruvananthapuram International Airport. The first thing that called my attention of this retreat were the facilities. It looks so beautiful that I just feel like booking a room right away. And it is not far away from one of my favorite beaches in India, Kovalam Beach. But it is not only a beautiful place. All the guests praise the excellent quality service, the caring staff and the well experienced yoga teachers. The Yoga and Ayurveda retreat package includes two hours of hatha yoga in the morning, one hour meditation in the evening and the daily Ayurvedic massages. 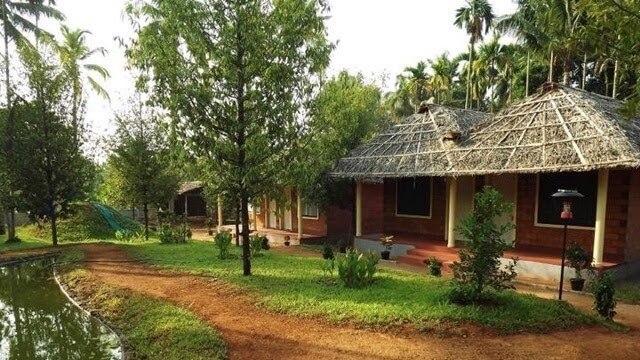 This retreat actually offers a Yoga Teacher Training Course, but since the groups are small (it only has 8 rooms), that doesn't seem to affect at all the quality of the service to the guests that come for an Ayurvedic detox program. I contacted them and they told me that they have a yoga hall for the yoga and Ayurveda retreats, and a dedicated yoga hall for the yoga TTC. They also have separate teachers for the retreats and for the TTC. I presume that many of their yoga TTC students are previous guests that came for an Ayurveda retreat. They probably felt in love of the staff, the teachers, the delicious food and the fantastic location. Who knows, maybe you'll feel inspire as well to do a Yoga Teacher Training Course with them in the future. The Ayurveda resort has 8 rooms with attached bathroom and fans. Only two rooms include AC. So if you want to be sure you get an AC room I suggest you make your booking well in advance. "I loved my experience at Amrutham. The grounds are spectacular, nothing is too much for the staff, the food is delicious, the Ayurvedic treatments with Suteesh and his team make you feel like a new person and on top of that I successfully became a yoga teacher. I highly recommend Amrutham if you are looking to study yoga teaching and would like to be in a small group, you're after some cleansing Ayurvedic treatments or just a nice break in a beautiful tropical destination." If you are looking for a budget yoga and Ayurveda retreat in Kerala then this is for sure the best option you can find. It's not just the most affordable retreat in Kerala, but it gives you everything you might need: delicious food, traditional yoga, great massages, hammocks to chill, and a small swimming pool. All of this in a beautiful location, surrounded by nature. Bodhi Ayurveda and Yoga Retreat is located 1 hour 15 min (43 km) from Cochin International Airport, and 1 hour 10 min (31 km) from Fort Kochi. Believe me, people love this retreat. They have five stars reviews on every platform. "I was looking for a short retreat to experience the real meaning of yoga. I only had 3 days to spend in Kerala and literally went all the way from New York to India, flew 18 hours just to do this retreat. I arrived Friday night and Unni sent someone for me to the airport. He welcomed me and saved dinner for me. The food was delicious and I am not vegetarian. On Saturday I did a 2 hours yoga class, then an amazing breakfast, a meditation class, a philosophy class, an amazing massage and facial scrub and then another yoga class. Dinner was good as well. On Sunday I had morning yoga class, a private yoga session and another Ayurveda massage. A taxi drove me to the airport on Sunday noon. I understood why people extends their stay. I felt welcomed, relaxed, disconnected. Unni was on top of everything (even my morning bananas!) and made my stay enjoyable even in such a short time. I don't remember all the staff names but everybody was caring. I wish I could stay for a week. I was afraid to do this solo but I am happy that I did it..." Erika Pucciarelli, from United States. I actually visited Bodhi Ayurveda and Yoga Retreat myself in 2016. I was their residential yoga teacher for a couple of weeks. I really enjoyed my stay with them and connected really well with Uni, the owner. The food is fantastic, excellent vegetarian food. The first time I visited this yoga retreat they had not only vegetarian food, but also fish and chicken. Later on they decided to make the retreat full vegetarian, although it is not necessarily Ayurvedic food. This resort is a bit more focused on yoga than Ayurveda. They do have an Ayurvedic doctor that comes to the retreat sometimes during the week. He then have individual appointments with each guests and gives general advice. The massages are mostly standard but you can definitely ask for more individualized treatments to the doctor. That would come at an extra price though. The rooms are basic, not the most beautiful but pretty comfortable. I really enjoyed going for a walk after lunch, enjoying the nature and the little local houses near the resort. Their Ayurveda and yoga retreats have usually two hatha yoga classes per day, a guided meditation session before lunch, one Ayurvedic massage and other treatments as required. Today they even offer a 200 Hours Yoga Teacher Training Course that you might like to take a look at. Reminiscence Ayurveda Yoga Retreat is a fantastic resort. The facilities are outstanding, the rooms are absolutely beautiful, the service is of the highest standard, and the location.... right at the banks of the Periyar River. Oh and yes, all rooms have good view of the river, the forest and mountains. Reminiscence Ayurveda Yoga Retreat is 1 hour 25 min drive (48 km) from Cochin International Airport, and 2 hours 30 min drive (77km) from Fort Kochi. The resort is located only 8 min drive (4.7 km) from the Thattekad Bird Sanctuary; Kerala’s first Tropical bird sanctuary. This sanctuary covers and area of 25 m2. By going through their listing photos, one can tell that in this yoga and Ayurveda resort they pay attention to even the smallest of details. Everything has been taking care of. The guests praise every single aspect of their stay at this resort. The location, the Ayurvedic treatments, the yoga, the vegetarian food, and above all, the service. Most people feel like being at home at this Ayurveda resort. Even in their attention to respond to every single review, and to ask for more feedback, you can tell that they do know about excellent customer service. Not surprisingly they have five stars review on TripAdvisor! Reminiscence Ayurveda Yoga Retreat is a specialized Ayurveda retreat. According to their yoga and Ayurveda retreat package listing, every guest's treatment plan is carefully customized according to each individuals needs by professional Ayurvedic Doctors. "For us, food is a medicine and you are our Gods to please." As they confirmed to me by email, they only use organic vegetarian Ayurvedic food. But if the guest have any particular health issues, then the diet is adjusted as required. As for the yoga; they teach classical hatha yoga, Sivananda style. It could be one or two classes per day depending on the retreat package you choose. "I recently spent two weeks at the Reminiscense Ayurveda Yoga Retreat. The place is nicely located on the bank of a river facing a natural reserve. The rooms are cozy with all what was needed for a comfortable stay. The ayurvdedic food ( vegan !) tasted nice and varied everyday. The treatments ( 2x a day) were very good, relaxing and with fast results. The team working there is very friendly and one can feel their commitment and pride in the work they do. This is the perfect place for recharging batteries, loosing weight or detox. I can only recommend it." ⇒ Click here for more reviews, photos, to make your booking or to send an enquiry. Note: The reviews also include reviews of their second yoga and Ayurveda retreat, Munkudil. Before you pack your bags don't forget to check my detailed India packing list. 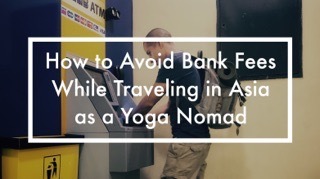 This packing list includes every single item you might need to pack to travel in India, to practice yoga in India and a lot more. I'm sure you'll find it helpful when planning your next rejuvenation and detox retreat in India. If you want to join me on my yoga journey don't forget to subscribe to my mailing list. 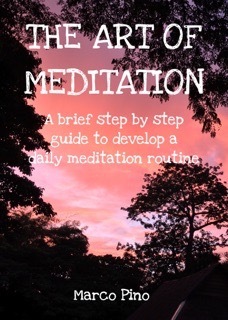 Once you subscribe you'll be able to download my free meditation ebook. 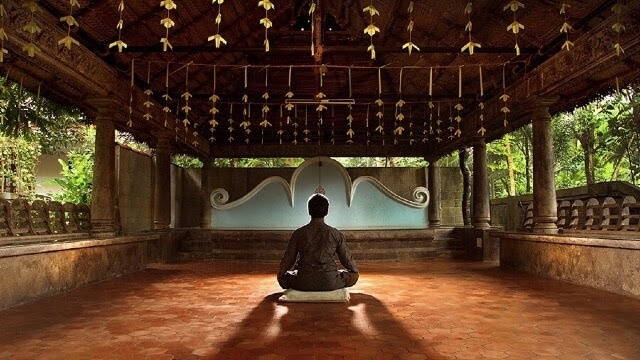 I hope you've found this list of the best yoga and Ayurveda retreats in Kerala helpful. Let me know which is your favorite retreat, and why. Whenever you visit any of these wellness resorts, don't hesitate to share your experience in the comment section below. If you know anybody who is searching for a yoga and Ayurveda retreat in India please don't forget to share this article with them. Feel free to pin it, like it and share it in your social media as well. Thanks for your support.